South Carolina, the underrated state offers you some of the most beautiful sights and unbelievable places to witness. Keep reading to find out where you fit best! The first national park of South Carolina was Congaree National Park, which is why you need to head there. With the chance to reconnect with nature and take part in outdoor activities, this park has become a popular stop. It contains more than 20,000 areas of hiking trails and a place for you to canoe down Cedar Creek. If you want to get an essence of the past, take a walk in Charleston Historic District. Downtown Charleston is known as the hub of 18th-century churches, offices, and home while getting in touch with modern food experiences and shopping. While you are there, you can get your hands on sweet grass woven basket. In 1861, when there was bad blood between the South and the North, Fort Sumter was the war zone. It was host to open firing and other military doings until the civil war ended in 1865. Now, Fort Sumter National Monument has become a historical site where individuals can look over the old times and understand how far the United States has come. 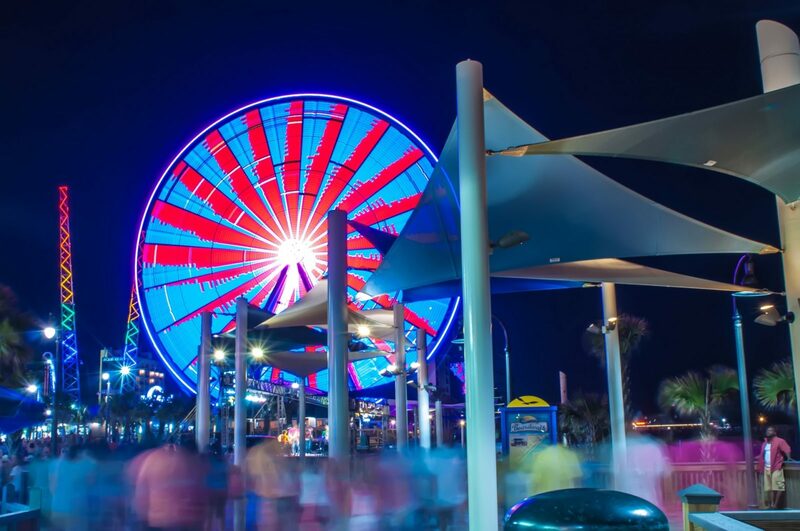 To get first class entertainment, a beautiful view, and incredible sports, you need to head over to Myrtle Beach. A beach lined with water sport opportunities, shopping, dining options, and a gloriously huge Ferris wheel. Moreover, this Ferris wheel is known as the tallest wheel of the Mississippi River. In 1977, South Carolina had made it its mission to preserve this beautiful location and to make sure its beaches and species were getting the highest level of appreciation. Ever since then, Botany Bay has become the top tourist destination as it gives them relief from their everyday, busy life. This preserve has plenty exotic flora and fauna that you might have never witnessed in your life before. Comprised of 7467 acres of wilderness, located alongside the border of North Carolina is the Caesars Head State Park. It starts at a beautiful trail where all visitors can get close to the breathtaking scenery of lush forests and gigantic trees that stand gracefully amongst other wild plants. Although, there is no proof that states the age of this glorious tree, one could estimate its range to be from 400 to 1500 years! Standing at a height of 20 feet, this tree should not be missed when you are going through Charleston. Spread at a span of 12 miles or so, Hilton Head Island is home to multiple beaches and resorts that have made their way to the top of the “Perfect Vacation Getaways” list. Apart from witnessing the most beautiful sceneries of the Atlantic, you will be closer to more than 250 restaurants, 24 top tier golf courses, and 350 tennis courts. If you want to head over to South Carolina, make sure you get in contact with the experts. TradeShowTravelCo is known to make travel dreams come true, which is why you need to contact them as soon as possible.